This review has been a long time in the making and I'm so excited to finally hit publish! 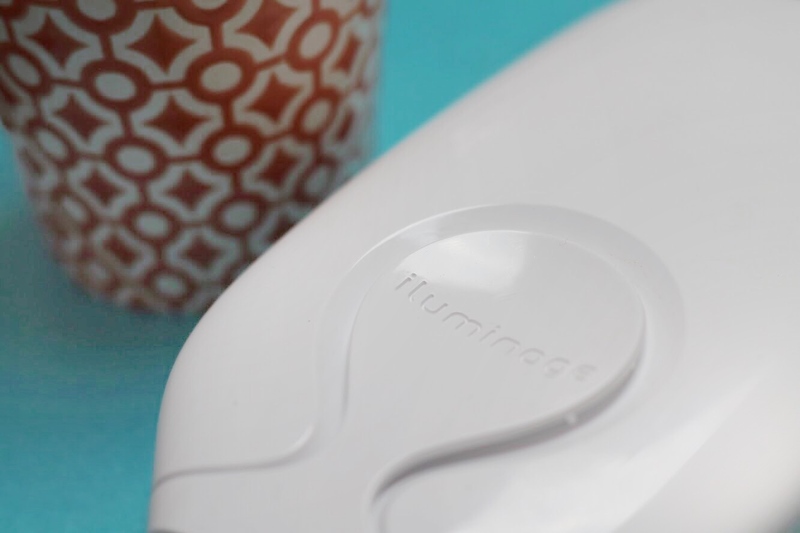 I was given the Illuminage precise touch* to review back in the early stages of summer, so great timing, but I've got to admit, for ages, I was petrified to use it, which is why this blog post has taken me longer than I would have liked. I have a ridiculously low pain threshold, and for some reason, even though I'd read reviews and watched videos about the Illuminage precise touch before using it, I was convinced it was going to hurt. Eventually, I just did it, on the lowest of the three settings, and actually laughed at myself. It didn't hurt a bit. In fact, I didn't even feel it. Why hadn't I tried this baby earlier?! 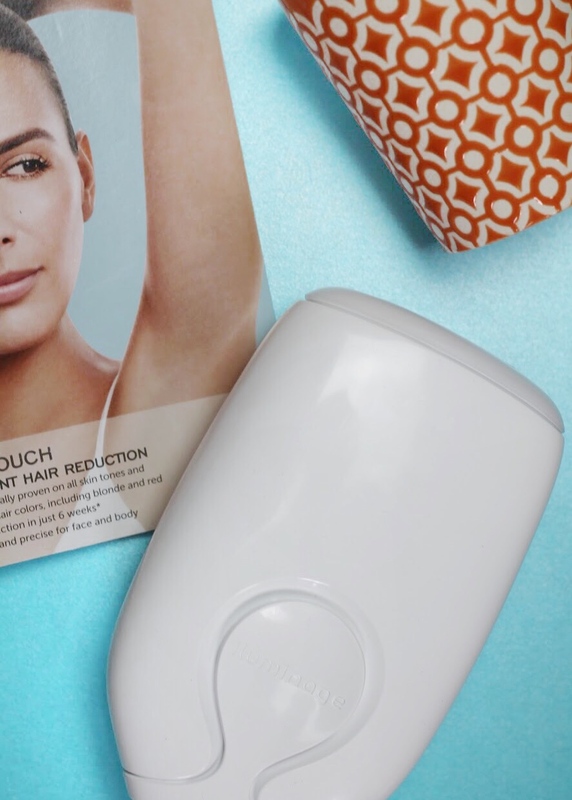 The Illuminage precise touch is a pretty fancy hair reduction device, not an epilator, or a laser treatment, but a painless hair reduction device that can work in as little as 6 weeks. 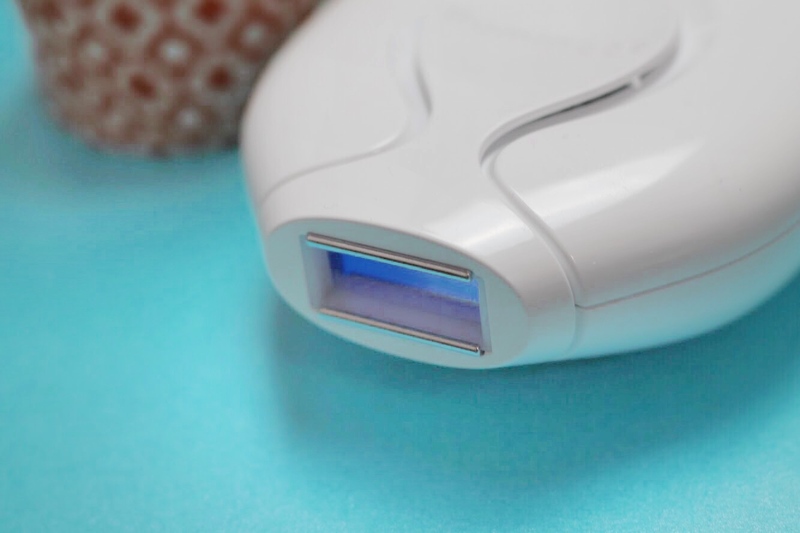 Unlike a lot of other hair reduction devices, this little guy is proven to work on all skin tones, from the palest to the darkest, and all hair colours. Yep, even ginger hair can't escape. How does the Illuminage precise touch work though? I was a bit sceptical of this at first, assuming lasers were involved and not wanting to use this without supervision (which makes me sound like a child), but it turns out this uses intense pulsed light and radio frequencies to effectively heat up your hair follicle, which you don't even feel happening and reduces how hairy you get. All you have to do is hold the end, which is in the picture above, over your skin for a second. You'll hear a faint click and see a flash of light (don't look directly at it, but don't be scared of it either) and then you move it up your leg a little, or wherever else you want less hair. I've been using the Illuminage precise touch on my legs, underarms and bikini line, but you can use it on your arms and face too. There's mixed reviews as to whether you can use this on your bikini-covered portions, with some saying go for it and others holding back. Illuminage just haven't clinically tested this yet, so if you get your hands on it, it's up to you to give it a try. I started using the Illuminage precise touch around the end of June so I'd be able to see the effects in time for going to America. It took me around about 7 weeks before I started to notice the results, and that's from using it weekly. Bear in mind I'm pretty pale, but have dark hair. It hasn't been that effective to the point where I can skip shaving altogether yet, but I have noticed I don't have to shave my legs as often. (Not that anybody has to shave their legs of course - body hair is a preference)! 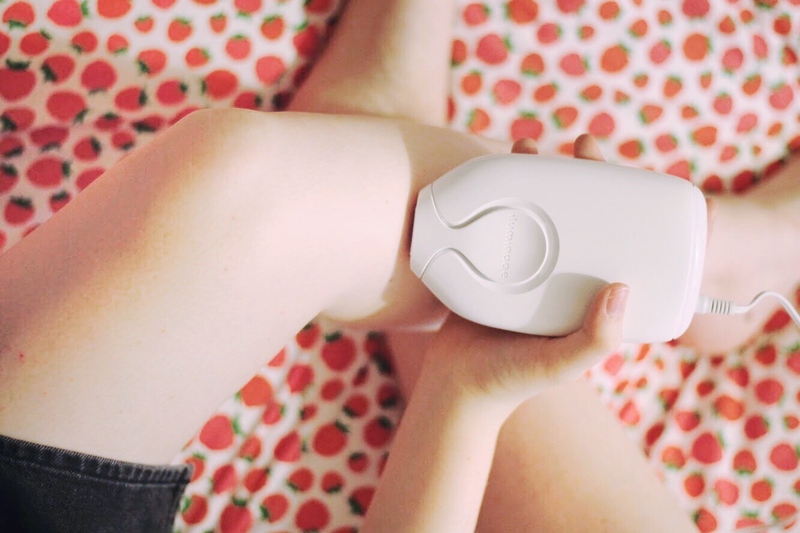 Using the Illuminage precise touch hasn't overhauled my shaving routine completely, but it has caused some patches of hair on my legs to stop growing altogether. I'll keep it up and see if it continues to work all over. As for my bikini line and underarms, I haven't seen much difference, but this could be cause the hair is darker and coarser so it might just take a bit longer. Overall, it's not bad, but based on two months using it, I'm not certain it's value for money. This retails for a hefty £240, so for that money I'd expect half a miracle. Although do keep an eye out online as I've seen deals on it quite a lot. I've also seen quite a few positive reviews, so the jury could be out on this one. I'll keep trying and maybe I'll update you all towards the end of the year. Have you tried the Illuminage precise touch or something similar? Let me know what you thought! *This was a PR gift. I was not paid to write this post and all opinions are my own and completely honest. Affiliate links are also used in this post.